So one of the things I would like to do in 2015 is read all my books I haven't read yet. And that's a lot. I pulled them off the shelf and photographed them. 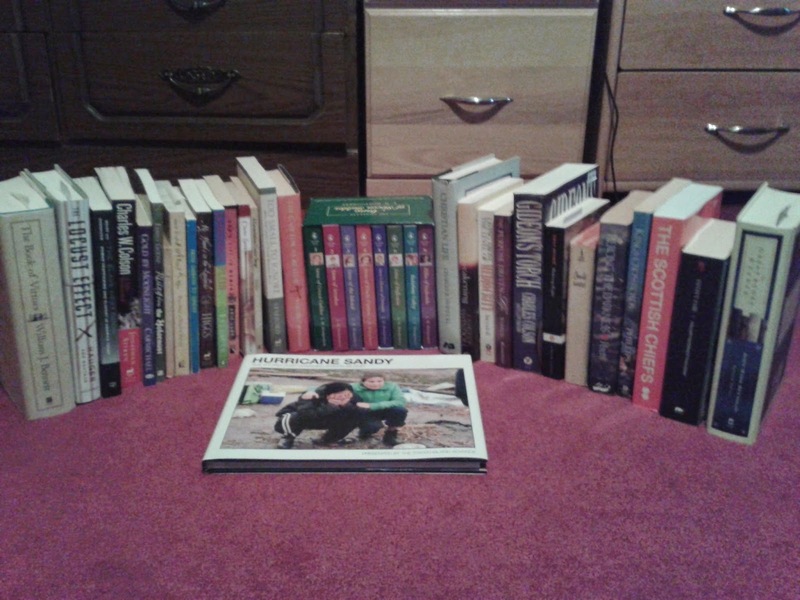 I have classics, biographies, novels, books on social justice, Christian living and more. A few of them I have read in the past, or I've started, but need to finish. If I read one book a week, I have enough to get me through the summer, or most of it. I keep telling myself not to buy any more books until I've read all of mine, but that usually doesn't happen, especially when something new comes out, or I browse the book section in a thrift store and can get them for 50 cents. Last week I finished reading The Locust Effect by Gary Haugen. Yesterday I started reading God's Gift to Women by Eric Ludy. Although I could argue the theology of men being God's gift to women, I won't. Yes, it's written for young men, but I'm reading it anyway. Two chapters in. It's great! New Years 2015 Plan: What Did I Do?